Heilongjiang province, the bread basket of north-east China, has banned the planting of genetically modified (GM) crops – the country’s first such ban at the provincial level. Given that Heilongjiang produces one tenth of China’s staple food crops, the move has sparked controversy and raised questions about the future of GM foods policy in the world’s biggest consumer market. While the ban took the form of a regulatory amendment it has the full force of a provincial law. China has neither officially approved the planting of GM corn, rice or soya nor banned it outright. So far, no GM staple crops have been granted a license for commercial planting. However, China does allow the import of 80 different types of GM product for use in food processing, and large quantities of GM corn and soya are regularly imported. Blogger and science writer Fang Zhouzi holds a PhD in biochemistry and is one of China’s most prominent GM technology advocates. He says Heilongjiang is outlawing something that has not been banned at the national level. If the central government approves the planting of GM staple crops then Heilongjiang’s provincial regulations will raise a conflict of interest. Similarly, Liu Xuxia, a professor of law at Huazhong Agricultural University in Hubei province, central China, argues that without a ban at the national level Heilongjiang cannot claim to be acting in accordance with the law. But other legal experts disagree. Yu Wenxuan, head of the Environmental and Resources Law Institute at the China University of Politics and Law, says that Heilongjiang’s amendment raises no problems in terms of legal principle and legislative process. Heilongjiang’s food safety regulations are based on China’s Food Safety Law, which does not preclude provinces from putting their own tougher rules in place as long as they do not conflict with national laws relating to food safety. Yu also pointed out precedents in which local governments have acted independently to go beyond standards required by national legislation. One example is the tougher air quality regulations Beijing put in place for the 2008 Beijing Olympics, which were stricter than those applied elsewhere. Regardless of the dispute around legality, Heilongjiang may be hoping to use the new rules to protect local crop producers from competition posed by GM importers. For example, GM soya shipped in from the US is cheaper than locally grown non-GM soya. And although import licenses are only issued for a small number of types of corn and soya, illegal imports do happen, undercutting local producers. 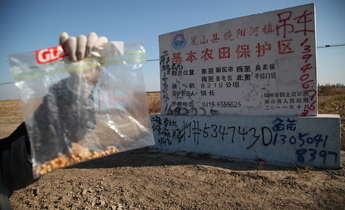 In 2015, an investigation by environmental NGO Greenpeace found that some foods sold in Liaoning, one of Heilongjiang’s neighbours, contained GM corn of a type not approved for import. Huang Dafang, a researcher at the Chinese Academy of Agricultural Sciences’ Biotechnology Research Institute, said that imported GM soya is beating Heilongjiang’s non-GM crops on price, and that the ban is legal cover for a protectionist policy. Liu Denggao, deputy head of the China Soya Industry Association, told chinadialogue that there’s a difference between protectionism and protecting the interests of local farmers. As China’s major grower of soya beans, Heilongjiang needs to be clear in its support for the purity of local products. Globally, there are distinct markets and prices for GM and non-GM soya. Heilongjiang’s non-GM crop is much cheaper than non-GM soya on the international market, and this is what it should be competing with. China’s Food Safety Law currently requires that GM food products be clearly labelled but lax law enforcement means that cheap unlabelled imported soya is dominating the Chinese market and damaging the interests of non-GM soya farmers and processors. In other words, once the regulations come into effect, consumers can be sure that products from Heilongjiang are GM free. The new regulation appears popular in Heilongjiang. In October, before it came into effect, the National Bureau of Statistics carried out a public opinion survey across 13 cities and some counties on attitudes towards a GM crop ban. More than 90% of respondents opposed the planting of GM crops in the province. According to survey data from the Chinese Academy of Science and Technology for Development, and the Society Blue Paper: Analysis and Prediction of Social Trends in China 2017, public levels of acceptance of GM technology are low and falling. Seven in ten respondents said they were unwilling to eat GM foods, while less than two in ten said they were willing to do so. (One in ten had no preference). Those in favour of GM foods are mostly scientists, particularly biotechnologists, whose arguments are largely couched in academic discussion. 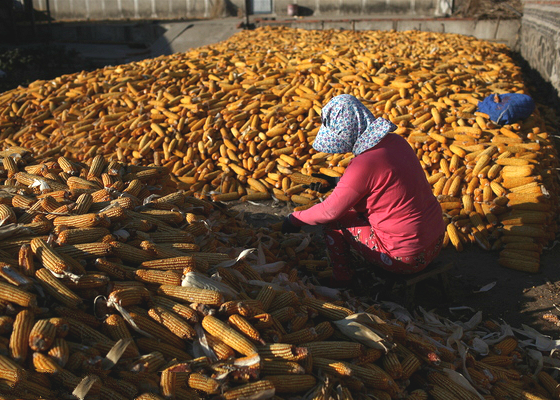 Xu Zhihong, a member of the Chinese Academy of Sciences and a professor at Peking University’s School of Life Sciences, thinks the ferocity of the debate and rejection of scientific argument is largely due to the public's deep-seated insecurity about the state's grip on food security, caused by a litany of past food scandals. Recent years have seen frequent food safety scares leaving the public sceptical of whether food in China is safe. That scepticism is manifested in attitudes towards GM foods. So far there are no signs that China’s central government objects to Heilongjiang’s move. But it is worth noting that Beijing is promoting the commercialisation of GM crops. In April 2016, Liao Xiyuan, head of the Ministry of Agriculture’s Science, Technology and Education Department, said at a press conference that the 13th Five-Year Plan period (2016-2020) would see China push forward with commercialisation of GM pest-resistant corn. This suggests that the clash between local and state laws is likely to be an ongoing issue. Should government bypass public opposition to GM rice?